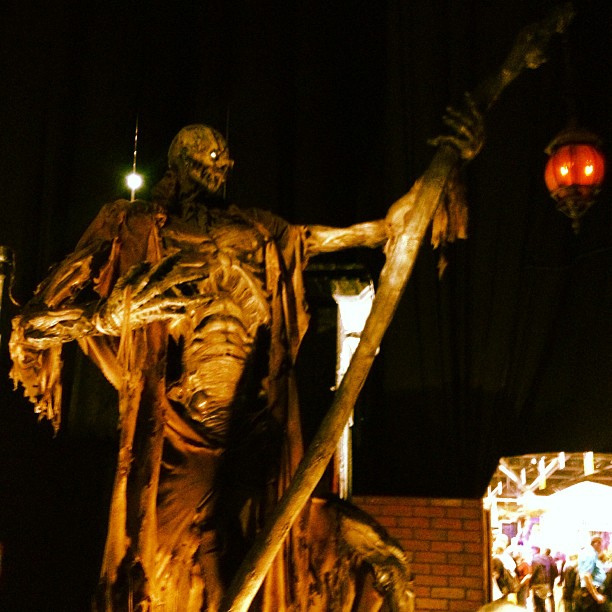 Fears Gate began haunting Southern California in 2010, when it made its debut as as The Forbidden Haunt in Sherman Oaks, using a circus theme - set inside an actual circus tent. Some actors and characters from the defunt Spooky House Halloween Haunt were incorporated. There was also an amusing double-wide coffin ride, which simulated the experience of being driven for you last ride to be buried in the cemetery, with motion simulators and sound effects. In 2011, the haunt moved to the Ace Hardware Building in the Fremont Square Shopping Center in Oxnard, where it was renamed Fears Gate. For 2012, the haunt chose "Zombie 2012 Apocalypse" as their theme. In 2013, Fears Gate offered multiple attractions, including a paintball maze and a more traditional haunted house walk-through. In 2014, Fears Gate lost their location. The last update on their website promised they were seeking a new location for the 2016 season.